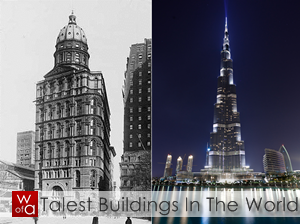 When you enter a house or a restaurant or any building, what do you notice first? The material, pattern and colour that makes up the flooring, the walls, the curtains, the overall décor of the place that gives it the ambience the owner wants to portray. Interior decoration-an easy job right? As simple and easy as this sounds, buying furniture and dumping them anywhere does not mean your job is done. 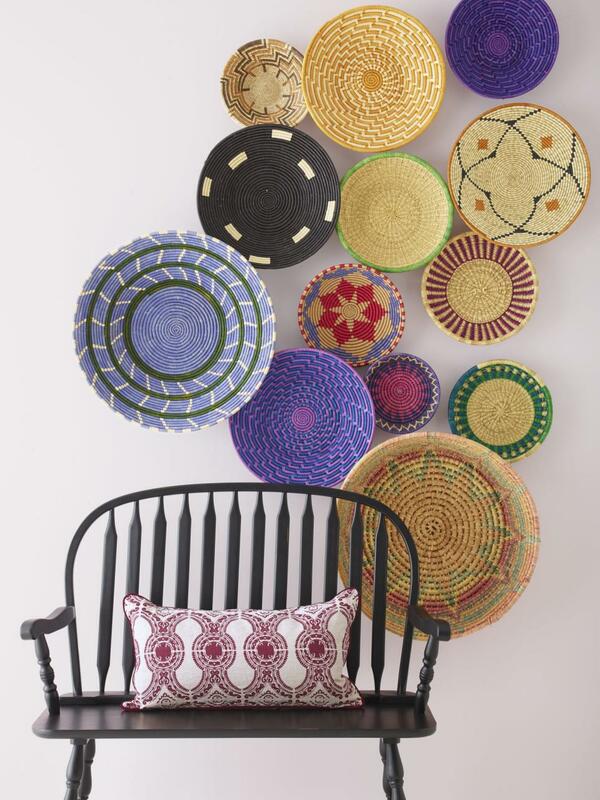 The way you arrange, organize and choose every element of your property speaks volumes about your taste. People usually do everything they can to fill up every nook and corner of their room, but overlook their walls, giving them only one or two coats of paint. But what if you could bring some life and colour to your walls too? So here, we bring to you, 13 unique and innovative ways of wall decoration that will bring about an extra glow to your house. 13) GOT SOME EXTRA DINNER PLATES? What do you do with all those extra melamine ware and fancy dinner plates that you were given on countless occasions as presents? You stick them on the wall! You could do the same with disposable plates, China plates, basically anything round, and preferably in different sizes. Paint them in different patterns and put them up on your wall - geometric, decreasing order of size, or any funky arrangement that comes to your mind. It is sure to create something different like the one in this picture. If you remember how you were in your childhood, or have a child to remind you, you know that kids are at their creative best from ages 3 to 10, when all they want to do is doodle on the walls. And as cute as they are, sometimes the doodling gets out of hand. But what if you gave them an entire wall in their room to doodle and draw on? 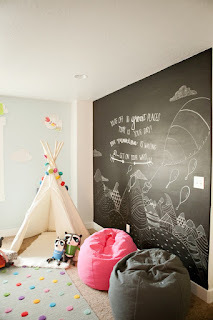 That too a blackboard wall! A few cans of blackboard paint and some time on your hand is all it takes! And when they are done with their masterpiece, you can erase them (after taking a picture of course!). And later on, it can even be used to teach them some math. Talk about productivity, creativity and fun, all in one! This one is for a wall in the living room. 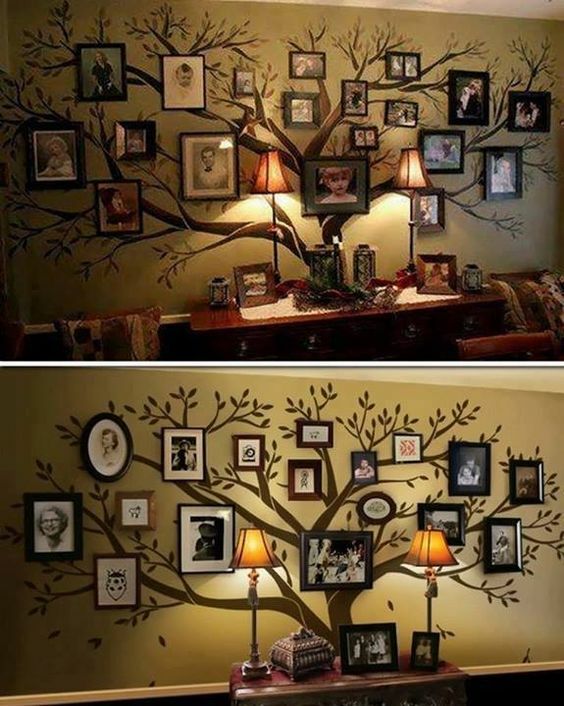 You could paste picture frames of your family tree, on an actual tree, or a wall decal of a tree. 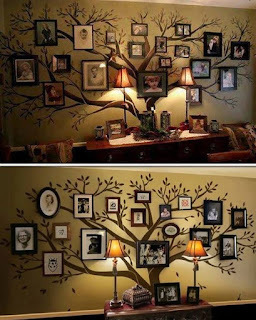 Or if you are the artistic type, you can get some paint and paint the tree along with the branches and leaves yourself, and paste photo frames of your near and dear ones on each branch. It’s really easy to do, it covers the whole wall, and gives you something to look at and cherish forever! It won’t be long before all your friends come over, see it, and do the same to their walls. Speaking of wall decal, if you’re on a budget you could get a removable vinyl wall sticker. They come in so many different patterns, colours and sizes. 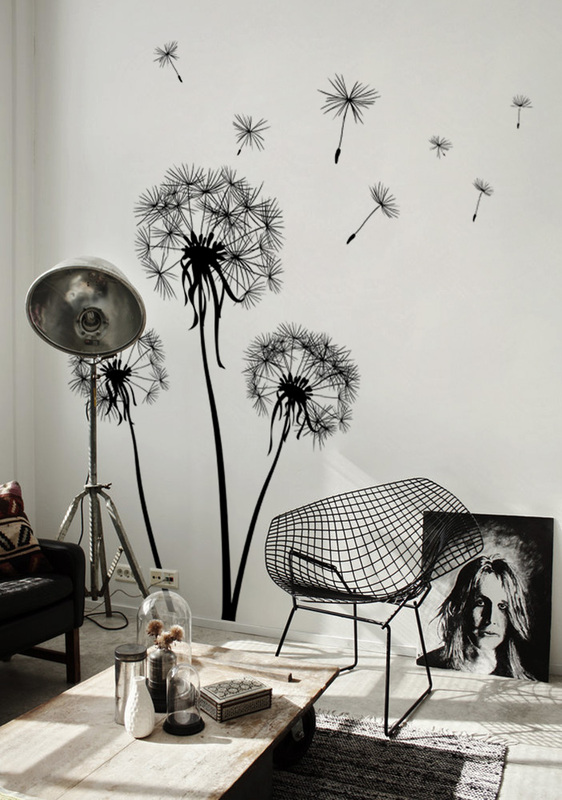 This black and white flower wall decal looks really classy since it blends with the surrounding furniture. The best part is, you can easily remove them if you ever get bored of the same pattern. This one is my personal favourite! If you love to travel and take pictures of places you go to, then you should definitely think of decorating your wall this way. 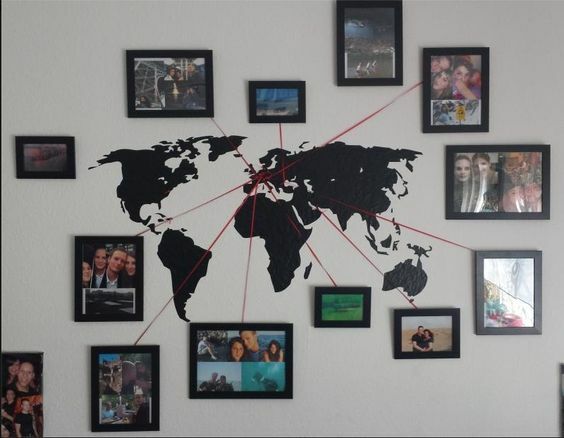 Buy a decal of the globe, stick it in the centre of your wall, draw lines from the spots you’ve been to, and hang a photo frame at the end. The more places you visit, the prettier your wall will look! It will be your personal magnified photo travelogue! Again, if you’re a traveler, or want to travel, or just love beautiful places around the world, you can get the skylines or cartoon of cities around the world, on a decal and stick it on your wall. 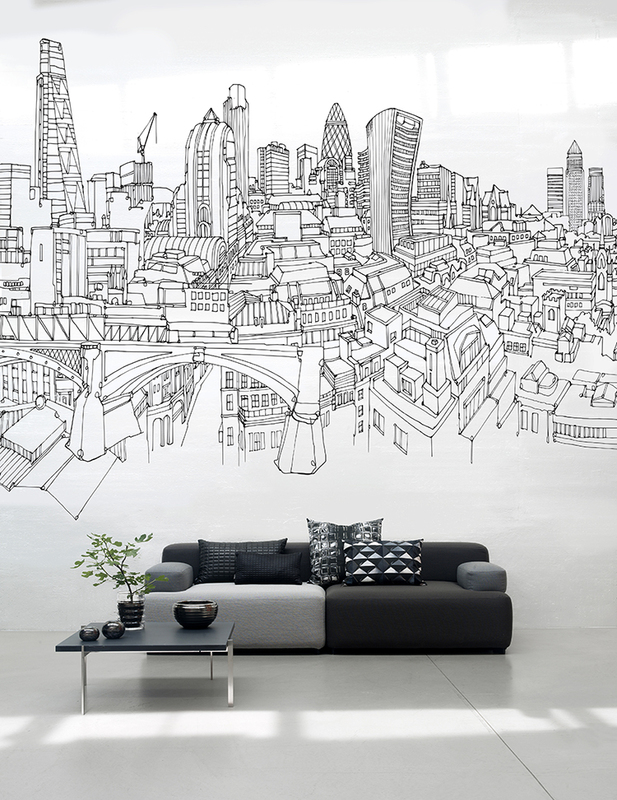 You could stick a wall decal of a different city in every room. 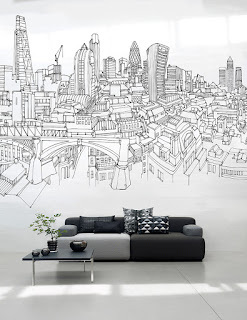 The picture shows the cartoon wall decal of London. It fits rather perfectly with the colour scheme used for the rest of the room and also looks unique, doesn’t it? If you’re a good painter, then you need no other way to enhance the beauty of your wall. 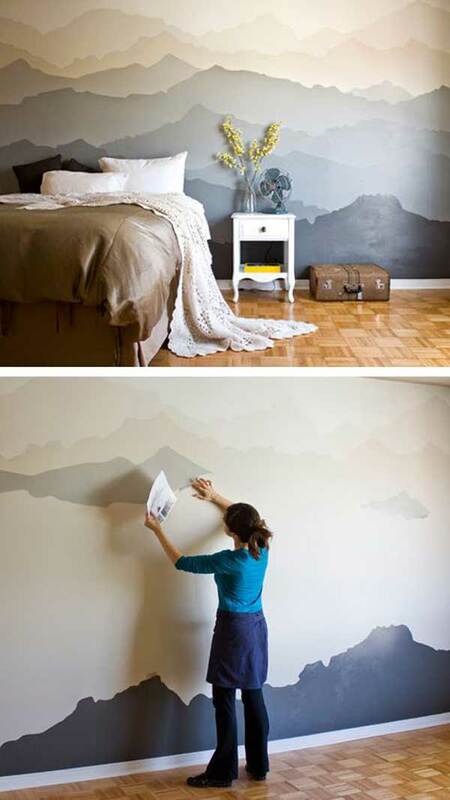 You can create this interesting mountain pattern with paint in under two hours. Or any beautiful scenery works too, or anything else you can create in your mind. 6) NOT ARTSY? WHAT ABOUT CRAFTSY? 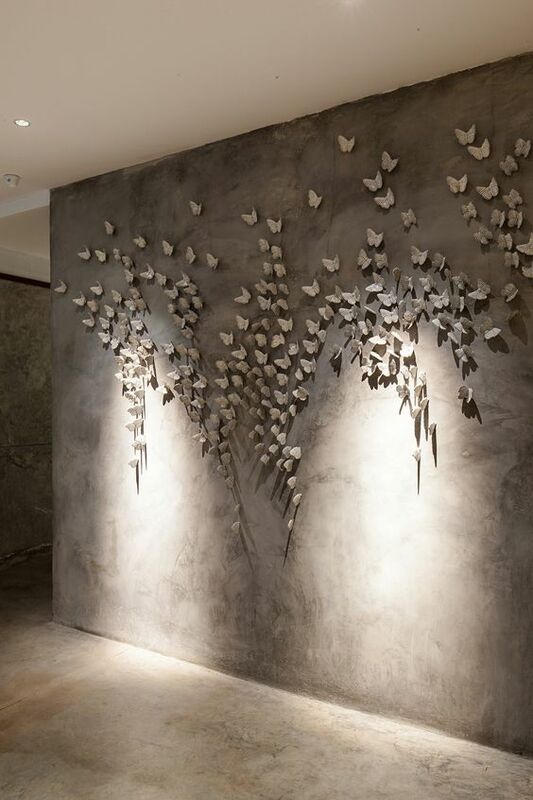 If painting is not your cup of tea, but you like craft work, then you can make butterflies out of chart or crepe or any other kind of paper and stick them on your wall, flying in a definite way. This isn’t limited to butterflies or birds, if you use the idea to provoke your creativity, you can work wonders! This may look like an ordinary wall with a painting. But it isn’t! The picture on this wall is made of small mosaic tiles. Tiles are conventionally used in bath rooms, but when mosaic tiles can create such a beautiful picture, I say, put it up on any wall! 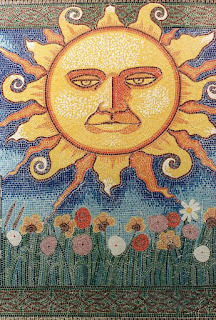 The advantage of using mosaic tiles is that it is easy to wash and it gives a good lustre to the wall. 4) REMEMBER WHEN YOUR PARENTS TOLD YOU NOT TO WRITE ON WALLS? If you have a good handwriting, you could paint quotes, movie titles, song lyrics, poetry, anything that strikes your mind! 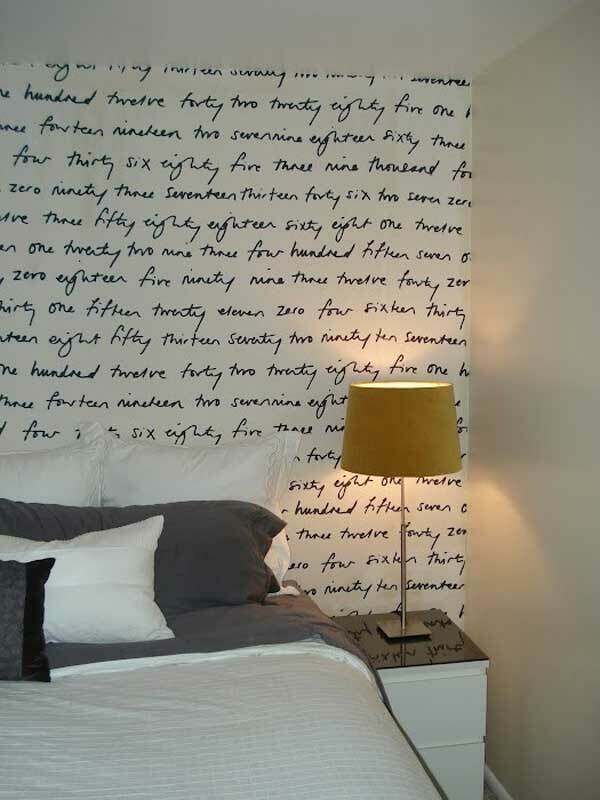 You could write a nursery rhyme in the children’s bedroom wall too! 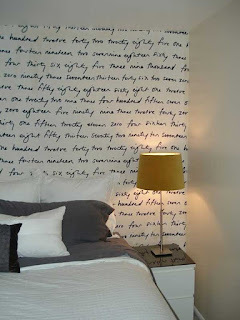 Choose light colours for the wall like white, or a light shade of brown and write with black paint on it. It will look really elegant. 3) ARE WE BACK TO THE STONE AGE? This stone wall looks fabulous by itself. But what makes it better is that fireplace painted on it at the bottom. 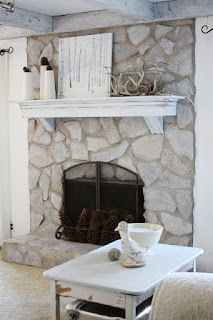 Nowadays, since most of us live in apartments, we aren’t really allowed to have a fireplace any more, but that doesn’t have to stop us from creating the illusion of one! This wall gives such warm and comfortable feeling when you just look at it. Mostly, ink spills cause a mess. 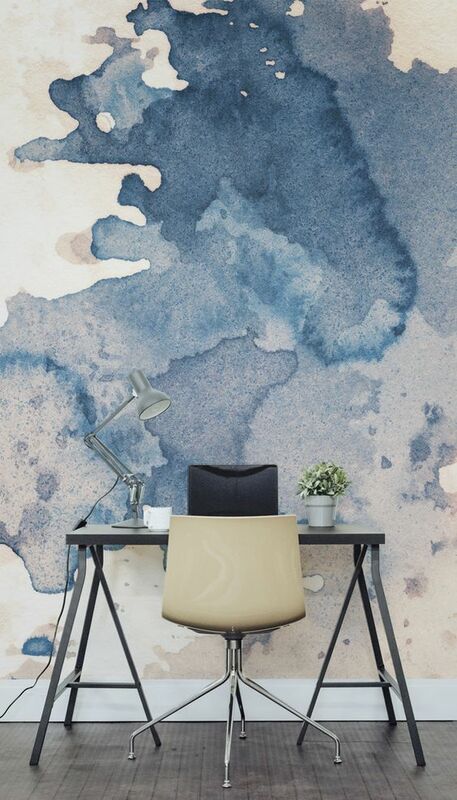 But if you’re daring and creative enough, you can pull off even an ink splatter as a design element. Use different shades of the same colour for this wonderful effect on your wall. You can make your corrections by painting a coat over it to cover up the places where it might look untidy, so that it in the end, it looks like a fun wall painting. Coming to geometric patterns, this pattern can easily be created with a stencil and come coloured paper. Geometric patterns give you a sense of completion when you look at the wall. But be careful with that stencil and cut out those shapes perfectly, since it is very easy to point out even the most minute mistakes with these patterns. 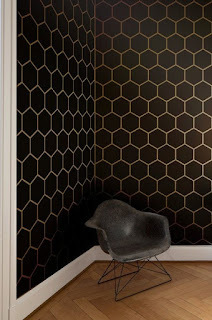 This one below looks like a beehive, because of its precise hexagonal pattern. You can also overlap patterns to create a unique effect. Let your creativity flow!